Our eye care professionals concentrate on understanding how the human eye really works, along with diseases and conditions that affect your vision - a number of which do not have obvious symptoms. Plano eye doctors know how age and risk factors affect vision eventually for young and old, and they understand the health benefits and features of corrective lenses including eyeglasses and contacts. Our optometrists in Plano, TX take the time to explain the results of your eye exam, describe your options and pay attention to your eye care needs. Because taking care of good eye health is an ongoing partnership, we encourage you to ask questions and share your health information, which can be vital to monitoring, diagnosing and treating potential vision problems. Jaime Gonzalez, O.D. earned his Doctorate in Optometry in 2006, graduating from the University of Houston College of Optometry. He was awarded The Clinical Excellence Award in Family Practice while pursuing his doctorate degree. Dr. Gonzalez went on to complete his internship rotation in ocular disease at BridgeBuilders Eye Clinic alongside Dr. Joe DeLoach. At the University of Houston – University Eye Institute, Dr. Jaime Gonzalez also had extensive training alongside executive director, Dr. Nick Holdeman, in ocular disease and pre- and post-operative surgical care. Dr. Gonzalez has also trained under Dr. Craig Thomas of 1st Eye Care, which he considers to be the eye technology expert. Dr. Gonzalez has also spent much of his training in fitting specialty contact lenses and family eye care. 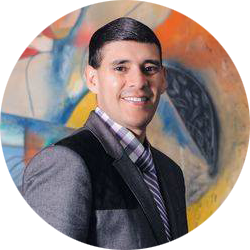 Dr. Jaime Gonzalez worked at First Eye Care Grand Prairie before starting Eye Pieces. Dr. Gonzalez is currently licensed as a Therapeutic Optometrist and board certified as an Optometric Glaucoma Specialist. He is a member of the American Optometric Association, Texas Optometric Association, and the Dallas County Optometric Society. He gets the most satisfaction in treating patients with dry eyes, ocular disease, and in treating children. He also enjoys fitting multi-focal (bifocal) contact lenses and difficult to fit lenses for patients with corneal disease. He enjoys using the latest technology to diagnose eye diseases and keeps up with the newest eye treatments for his patients. In his free time, Dr. Gonzalez enjoys traveling, attending sporting events, and finding new hole in the wall restaurants with his wife, Dr. Hoa Nguyen, who is also an Eye Pieces optometrist. Dr. Jaime Gonzalez is co-owner of Eye Pieces along with Dr. Hoa Nguyen. Hoa Nguyen, O.D. received her bachelor’s degree from Tulane University and her doctorate degree from the University of Houston College of Optometry in 2006. Dr. Nguyen is currently licensed as a Therapeutic Optometrist and board certified as an Optometric Glaucoma Specialist. Dr. Hoa Nguyen has training in treating ocular diseases, providing essential eye care for children, fitting specialty contact lenses and co-managing pediatrics, and low vision rehabilitation at Baylor in Houston. She is a member of the Dallas County Optometric Society and Tarrant County Optometric Society. Before joining Eye Pieces, Dr. Hoa Nguyen worked at Vision City. In her spare time, Dr. Hoa Nguyen enjoys bowling, traveling, rock climbing, and trying a variety of different foods with her husband, Dr. Jaime Gonzalez, who is also an Eye Pieces optometrist. 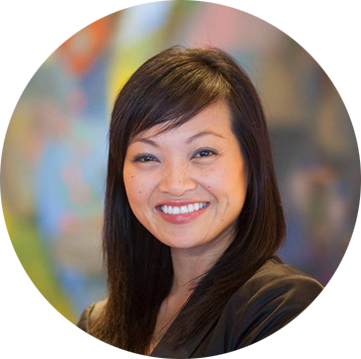 Dr. Hoa Nguyen is co-owner of Eye Pieces along with Dr. Jaime Gonzalez. Jordan Alexander, O.D. graduated from University of North Carolina at Chapel Hill in 2009 where she received her bachelor’s degree prior to attending Nova Southeastern University College of Optometry, where she earned her doctorate degree. 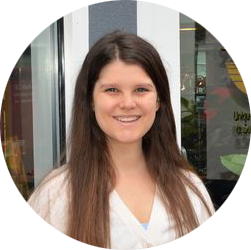 Dr. Alexander is currently licensed as a Therapeutic Optometrist and an Optometric Glaucoma Specialist. Dr. Alexander has extensive training in binocular/neurological vision disorders with neuro ophthalmologist Dr. Matthew Kay M.D. ; in glaucoma, foreign body removal, trauma, and other ocular diseases while at internships at Braverman Eye Center and Eye Centers of South Florida. Dr. Alexander enjoys working with patients of all ages to provide clear, comfortable vision through glasses, contact lenses and vision therapy to help with double vision, dryness, and/or visual discomfort. When away from the office, Dr. Alexander can be found cheering on her beloved Tarheels, running, watching sport games, and spending time with family and friends.